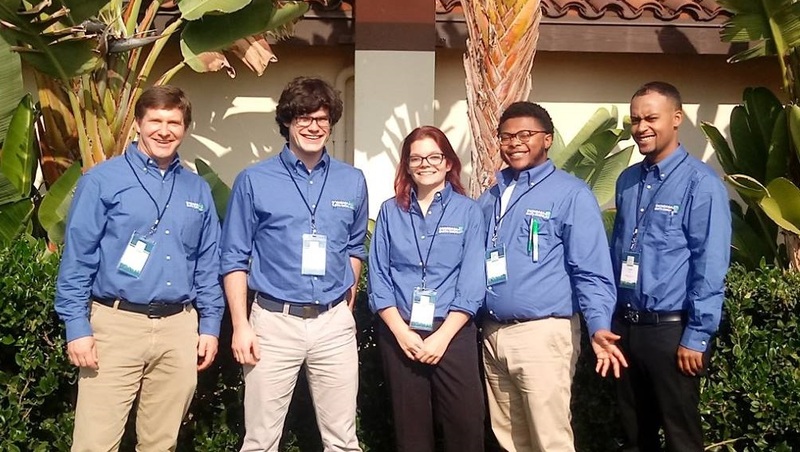 Greg Michel (at left) went with a team of Onondaga Earth Corps staff and advanced crew members–Nick, Amanda, Taveon, and Tyrell–to the 2018 Partners in Urban Forestry Conference in Irvine, California. Over the years, Onondaga Earth Corps (OEC) and the Council have partnered in various fruitful ways. OEC Director Greg Michel (pron. “Michael”) recently joined the Council Board; we wanted to get to know him and OEC better. A Council Blog post about the work of OEC can be seen here. Michel then went to Tokyo Gakugei University to study International and Environmental Education at the graduate level, writing his thesis on “Impact of Global Connections on Place-Based Environmental Education,” and earning his master’s degree in 2001. Danielle Gift received a scholarship from the New York City/Region 2 ReLeaf Committee, of which she is an active member, to pay for ReLeaf registration and lodging. Get involved with your region’s ReLeaf Committee! “This year’s Annual New York ReLeaf Conference was one of my favorites to date! The Region 8 committee did a fantastic job of providing a great mix of workshops and field tours on a variety of topics, and all of the speakers were incredible engaging and knowledgeable. At NYC Parks I’ve recently transitioned from Manager of Special Urban Forestry Projects to Tree Preservation Senior Project Manager. Although many of my special projects came with me to this new position, I now have a stronger focus on tree presentation, and this conference had something important and applicable in each session. It was exciting for me to see these workshops through a different lens—the tree preservation lens. With that in mind, there were three highlights for me: the Keynote on New York Tree Law, the picnic at Olmsted-designed Genesee Valley Park, and the Saturday Service Project, which focused on a Trees for Tribs restoration site in an area hit hard by Emerald Ash Borer (EAB). I grew up in Albany. When I was a kid, Mom would point out different kinds of trees to me (she had grown up on a farm). My interest grew, always with sensory attraction: the smell of maples in the spring, the sound of wind in pine branches, the color of fall leaves, all the forms and shapes. Growing up in a reasonably dense city gave me a different perspective on trees when I went to Forestry school at Paul Smiths College. After graduating and taking internship positions with the US Forest Service, I returned to Albany. A volunteer project with the City led me to the then-new position of Assistant Forester, where my re-education in urban forestry began. Our department found every urban tree issue there is: plumbing, overhead wires, bad practices, poor soils, vandalism, sidewalks, structures. And we made many of the mistakes, but learned and adjusted. One of my first—and ongoing—efforts was to increase tree species diversity; tree planting along streets, in parks, and on school grounds gave me my highest satisfaction in the position. New York Tree Trust Development Director James Kaechele joined the Council Board last summer. The Council is lucky to have the contributions of this powerhouse who has achieved so much at 33! Here’s James in his own words. Growing up in suburban Connecticut, I spent my childhood camping and scouting, eventually becoming an Eagle Scout. My family had a trailer in the White Mountains of New Hampshire on a lake; the best time of my childhood was being totally free to explore the forest. When it was time to go to college in the early 2000s, I thought about going into plant biotech, but ultimately decided I didn’t want to work in a lab all day. I was always most interested in connecting people to the natural world. I majored in environmental and forest biology at SUNY ESF and while I was still a student, I worked at Bartlett Arboretum in Stamford, Connecticut as an educator and then interim education director. When I graduated I continued working at the arboretum as the education director. I was in charge of both child and adult education, so I was doing things like teaching busloads of first graders about the parts of a flower and putting “bee goggles” on them so they could see what a bee sees. I organized classes on all sorts of interesting topics for adults in the evenings and did some of the teaching myself. It was an exciting and fun job.